The Oregon Senate Committee on Environment and Natural Resources considered a bill earlier this month that would require all major fish and wildlife policy decisions to be approved by the state Fish and Wildlife Commission. 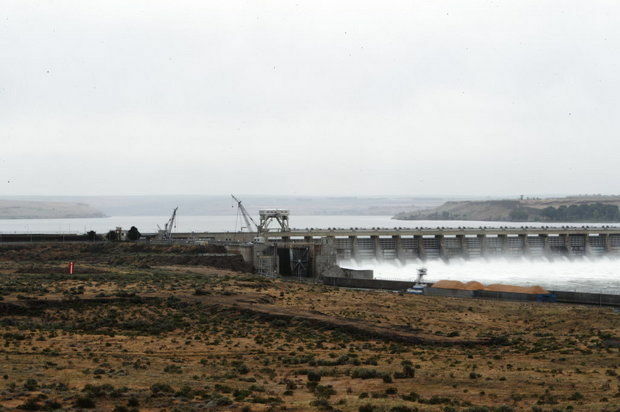 It's a result of the state's ongoing litigation over the hydro BiOp as an intervenor-plaintiff, which includes a call for increasing spill at dams on the Columbia and Snake rivers, a proposed action strongly supported by Oregon Department of Fish and Wildlife. In 2013, the department had submitted a proposal to the Northwest Power and Conservation Council calling for a billion-dollar, 10-year spill test at mainstem dams, all without apparently consulting or even briefing the state Fish and Wildlife Commission, which oversees the department. The bill says that prior to adopting a new program or expanding an existing program, ODFW must notify any group or persons that may be financially impacted. The department must also establish an advisory committee that includes impacted groups and contract with an independent organization for a cost-benefit analysis and scientific review, while also considering other means for accomplishing the new program's goals. The department would also have to hold public hearings in each impacted geographic region. An amendment to the bill, submitted by the Native Fish Society, would remove the requirement that notification be limited to only those persons impacted financially and would clarify that analysis of a program shall include "anticipated economic, ecological, and social costs." Sen. Bill Hansell (R-Pendleton), the bill's sponsor, said SB 125 "is a direct result" of ODFW "circumventing" the FWC last year when it presented a plan to the Council to increase spill at hydro facilities on the Columbia and Snake rivers. Hansell said commission members only learned of the presentation through media reports. Oregon's pitch for a 10-year spill experiment was soundly rejected in February 2014 by NPCC's Independent Scientific Advisory Board, which said "the spill experiment proposal does not provide enough evidence for the ISAB to conclude that the experiment includes an adequately researched hypothesis." In September 2014, ODFW and the state joined a host of environmental groups in a lawsuit against the National Marine Fisheries Service and NPCC to increase spill, "without any discussion with the board or stakeholders," Hansell said. Oregon is the only Northwest state challenging the BiOp. "To have a policy set by a middle manager, reduced to writing and submitted as official policy to BPA and other decision makers about power policy and dam management--when half of the state is dependent on public power--to me is unthinkable," said Sen. Ted Ferrioli (R-John Day) during committee testimony on April 8. "The whole idea of the board and commission is to provide a venue to vet different ideas and to listen to proposals and debate them in the open." Steve Eldrige, CEO and general manager of the Umatilla Electric Cooperative, said his support for the bill stems from ODFW handling of the proposed 10-year spill experiment, which would have cost his utility $1 million a year. "We were very lucky to find out about this," Eldrige said. "This lack of transparency is not a new phenomenon at ODFW." Terry Flores, director of Northwest RiverPartners, said in written testimony that "SB 125 provides a critical step to creating much needed transparency in the workings of Oregon's Department of Fish and Wildlife." "Examples of the need for the legislation abound," Flores wrote. "The department has been in the forefront of promoting experimental spill operations that are not supported by sound science nor cost-effective." Several environmental groups agreed that ODFW needs more transparency and improvements in the public process for adopting fish and wildlife policy, but questioned whether the bill would essentially add another layer of bureaucracy to the department. Oregon's Trout Unlimited said the bill in its present form would be "redundant and costly." "Trout Unlimited's concerns about this bill are that it creates a separate process outside the current ODFW process, which would cost extra money and take extra time," wrote Tom Wolfe, executive director of Oregon's Trout Unlimited. "Rather than create a new process, wouldn't it be better for the proponents of this bill to work with ODFW to address their concerns?" Native Fish Society, which counts 700 members, gave a lukewarm endorsement to the bill, saying it contains a number of concepts that would substantially improve the process. "Specifically, section two provides important components that would lead to more public involvement and better understanding of the need for these programs and should lead to more support from the public for activities of the agency." WaterWatch, a river conservation group, opposes SB 125. The group said it would grant undue influence over agency decision-making by parties that might be "adversely impacted financially." "Rather than providing an avenue for all Oregonians to engage in agency policy making, this bill sets up a framework to grant notice, process and funding to those 'adversely impacted financially' by a state program that is adopted for the benefit of all Oregonians," the group said. Neither the ODFW nor the state FWC submitted testimony to the committee. The bill died after it did not get out of committee by April 21.